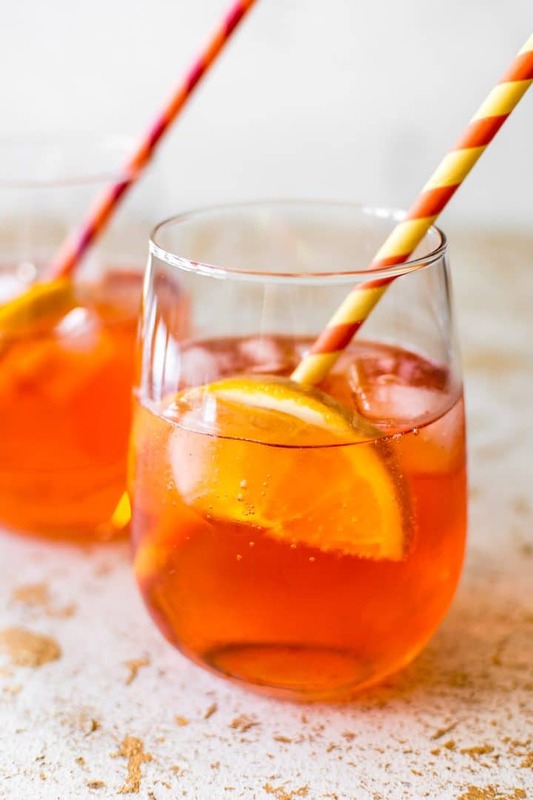 The Aperol spritz is a simple and refreshing drink that you will want to sip on all summer long! This 3-ingredient cocktail is perfect for easy entertaining. Add ice to a glass, followed by Aperol, prosecco (sparkling white wine), and top it up with club soda. I also like to add a slice of orange to the glass. 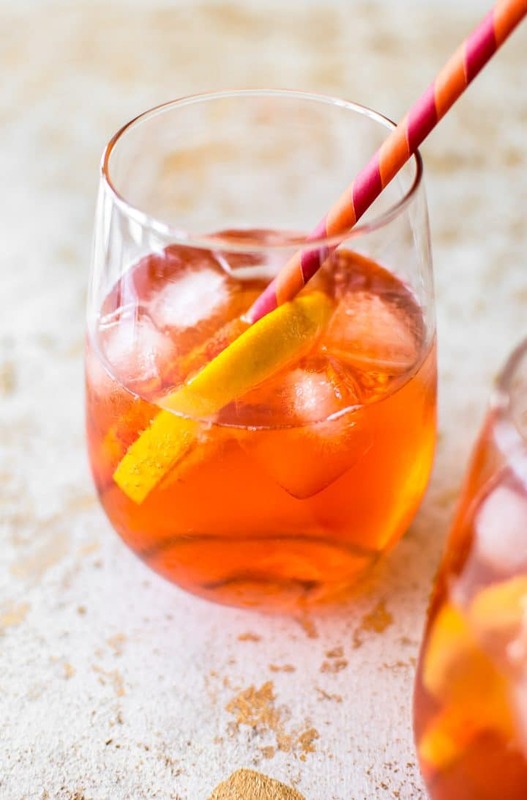 If you didn’t know, a spritz is a wine-based cocktail that has Italian origins. It’s commonly served before dinner in Italy (an aperitif). It has an orange flavor similar to Campari, but it contains less alcohol. It’s fairly bitter. The Aperol spritz cocktail isn’t too sweet. If you want it a little sweeter, use a sparkling moscato wine. It’s perfect for enjoying on a patio with a whole smorgasbord of summer goodies. 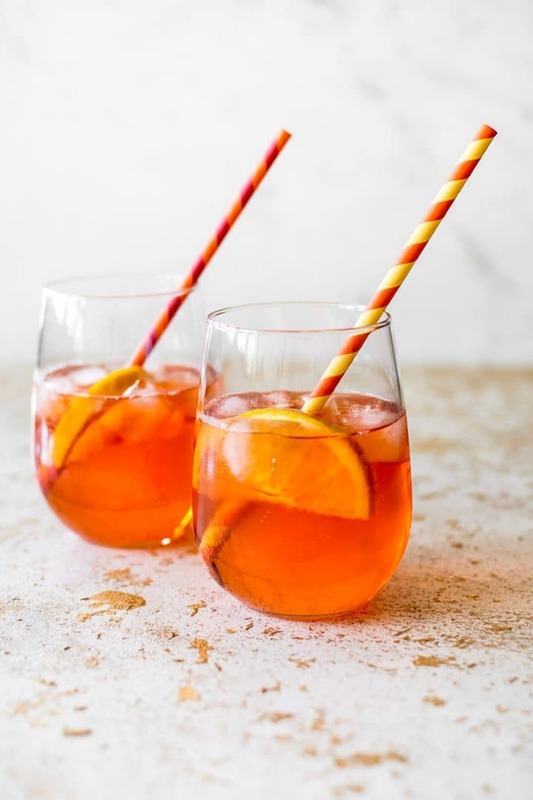 Have you tried the Aperol spritz? Add the ice to the glass, followed by the Aperol and prosecco. Finally, add the club soda, stir it gently, and garnish with an orange slice if desired. You may also like my rosé spritzer recipe. I am in love with Aperol! This cocktail recipe sounds so delicious! Thanks!